We recently hosted a contest for drivers to submit their cutest furry co-pilot. Our first-place winner, Aaron Hatfield, submitted his sweet dog, Molly. 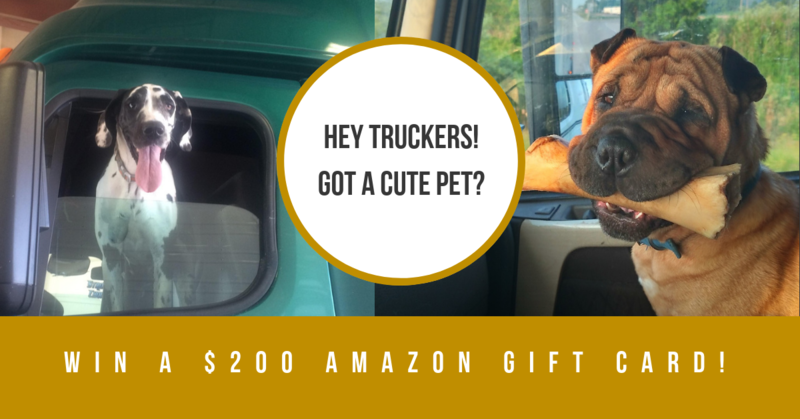 Aaron, a K&J professional driver, had been looking for a dog to keep him company in his truck for awhile when his sister, a veterinarian, reached out. A young couple had recently dropped off their three-month-old puppy at her office. The puppy was blind and had a broken leg, and the couple was unable to handle the financial burden. "It seemed like they'd bit off more than they could chew so they left the puppy with the vet," said Aaron. According to Aaron's sister, the puppy was perfect for life in the truck. We had 15 amazing entries into our contest representing 18 adorable pets that spend their life out on the road. Thank you to all of our entrants for sharing your pets with us! After a week of voting, we have a winner! Do you have a furry co-pilot on the road? 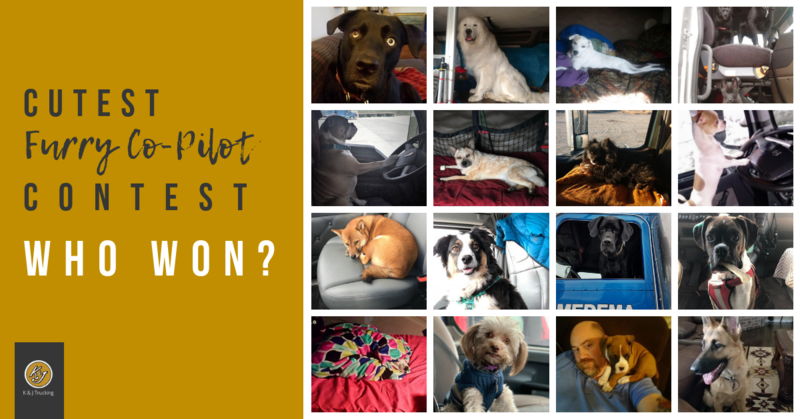 A dog or cat (or a few) who are fellow road warriors? We know that you think they are the cutest, but wouldn't it be nice to say they won a contest with that adorable mug of theirs? Jeannie Pritts has been driving truck for 43 years. In fact, it would have been 48 years if she hadn’t had a five year break for a neck injury. 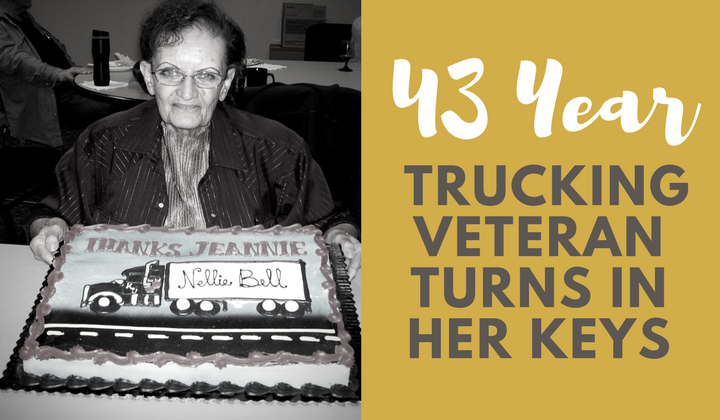 Her late husband was involved in trucking for 64 years. In all that time they never had a single accident, but they saw quite a few. Now that she is facing retirement, Jeannie took some time to chat with us and give her perspective on how trucking has shaped her over the years. It is estimated that between 40-60% of truckers have pets that they bring with them on the road either full or part-time. 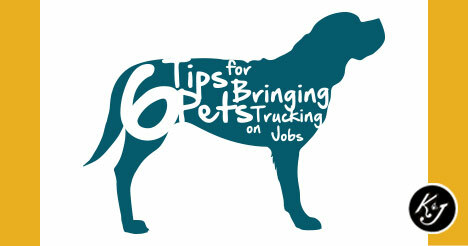 With that many dogs and cats (and other pets too) on the road, here are some tips to keep your pet happy and healthy while out on trucking jobs. Many drivers bring their pets with them on trucking jobs, but there are some unexpected benefits to bringing your furry co-pilot along. So the next time a non-trucker scoffs at you bringing your pet to work every day, laugh and pass them this list.